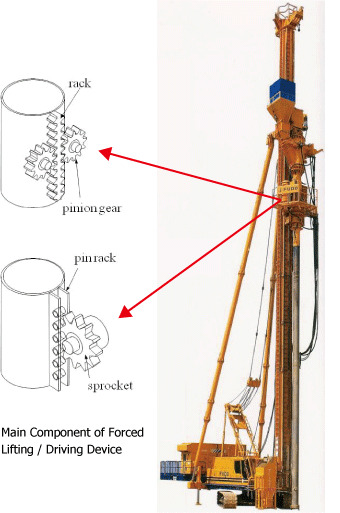 SAVE (Silent, Advanced Vibration-Erasing) Compozer, a Non-Vibratory Replacement (soil densification) method, has been born by the development of a rotary penetrating system for wave-type implementation that uses a new type of forced driving / lifting device. This allows densification of subsurface soils adjacent to the existing buildings, and significantly widens the applicable area for the densification. Various materials such as stone, sand, crushed concrete, or slag can be used as filling materials for this method. Technical Development Award of the Japanese Geotechnical Society. Certificate 4 as 'Tested general civil engineering technology', of Japan Institute of Construction Engineering (JICE). Ministry of Transport Approval Certificate 99107, as engineering method to counter liquefaction. Science and Technology Agency 59th Selected New Developments by with notice. Recommended technology No. CB-980039-V by New Technology Informati on System (NETIS), Ministry of Land, Infrastructure, Transport and Tourism.